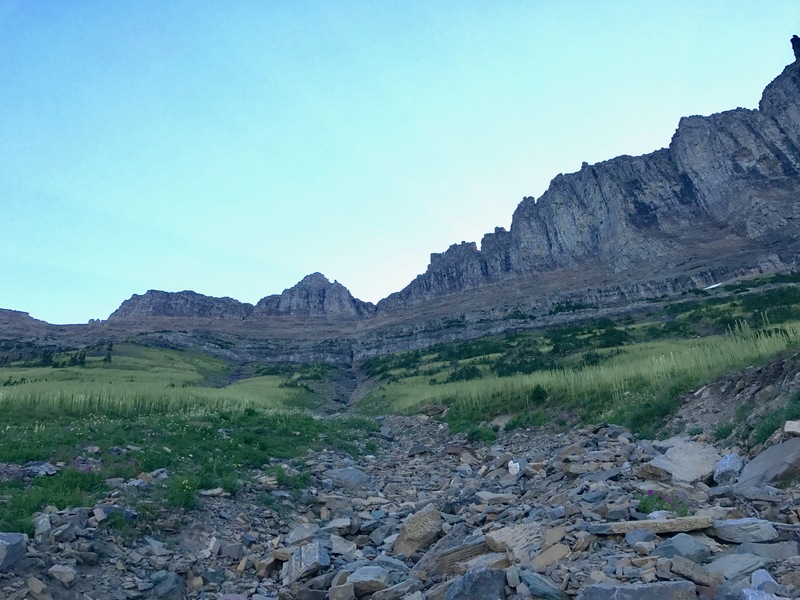 This summer we spent some time in Glacier National Park – one of the most beautiful places in the country! 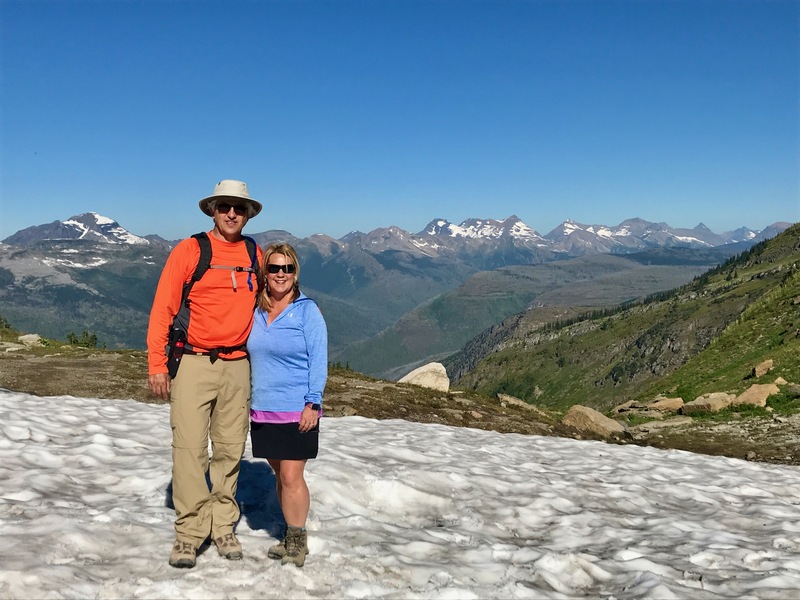 The landscape filled with glacier carved peaks, valleys of wildflowers, lakes and rivers is all set against the big blue sky of Montana. An incredible combination that spells beauty. 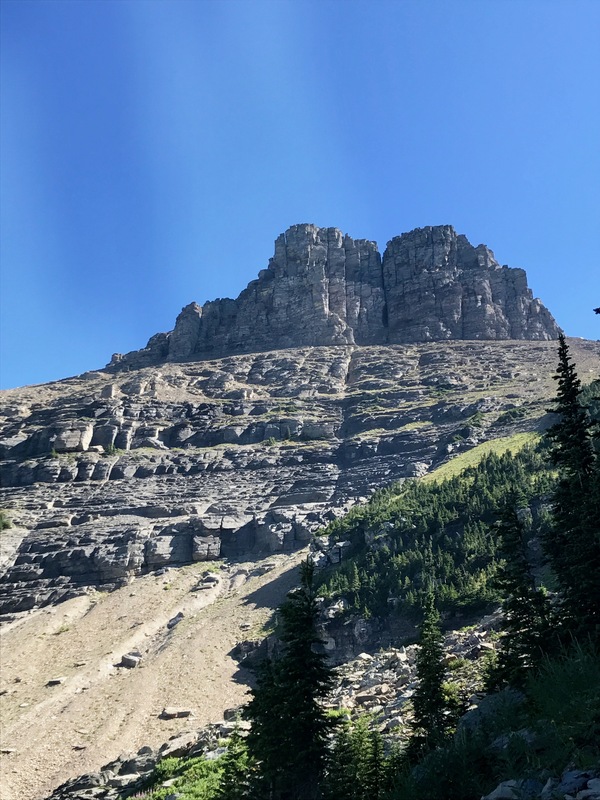 While we were there, my husband and I wanted to find an epic day hike. We were staying at the Rising Sun Motor Inn, so we were looking for a hike in that area of the park. 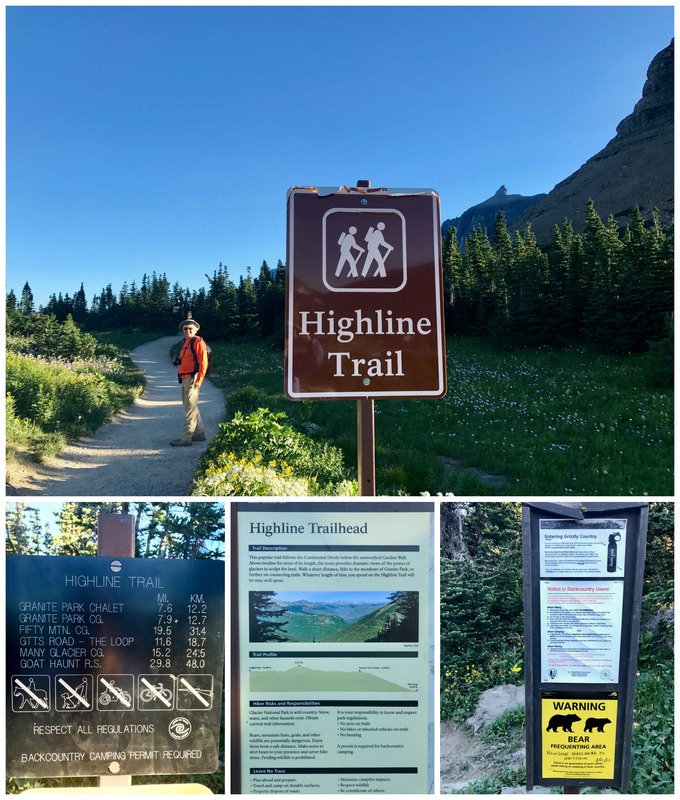 We chatted with the clerks in the gift shop about possible hikes, and after much deliberation we decided to hike the Highline Loop. First off, while this hike is called a loop, you need to know that it is a one directional hike. 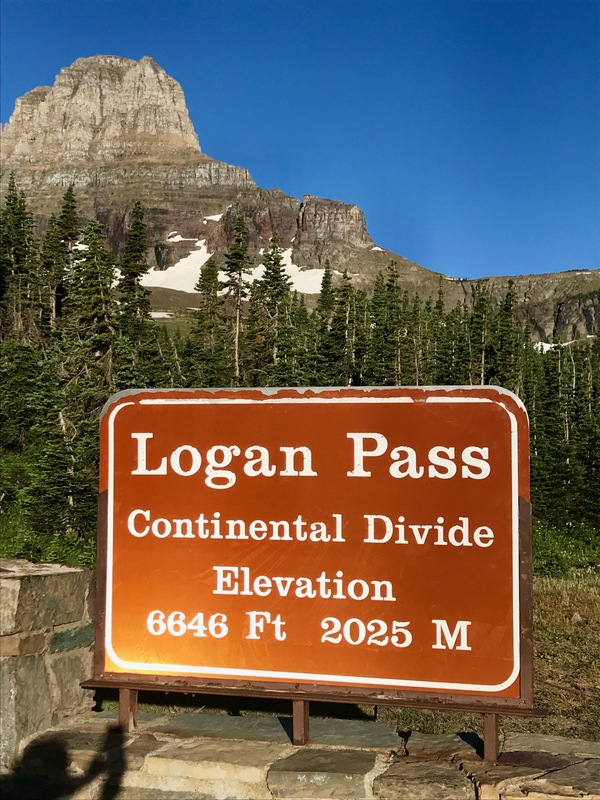 We parked our car at the Logan Pass Visitor Center parking lot. 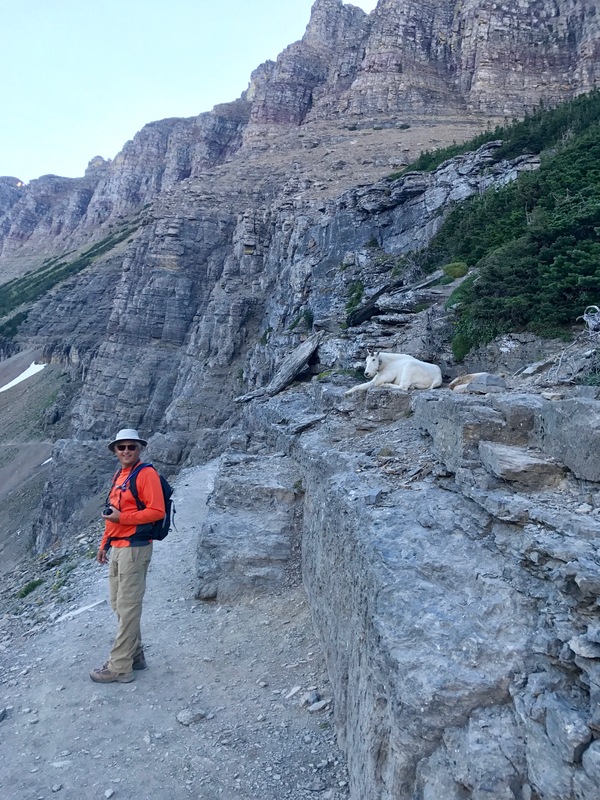 This is right at the Continental Divide on the Going-to-the Sun Road. The parking lot does fill up early, but this is an all day hike so we started early anyways. The trail head is right across the street from the parking lot. After a full day of hiking the trail ends at the Loop shuttle stop (hiking down Granite Park Trail). From here you hop onto a shuttle that takes you back to your parked car at the Logan Pass Visitor Center. 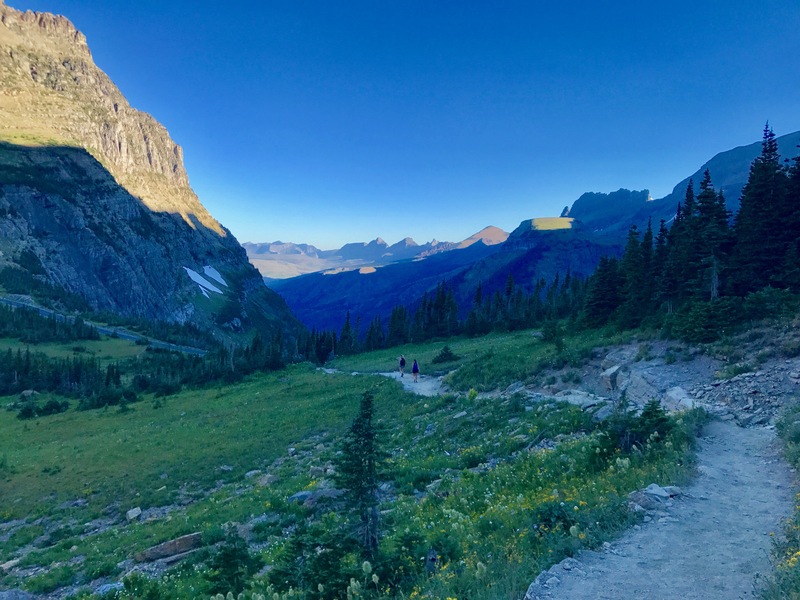 The gift shop clerk that told us about this hike suggested that we park at the Loop parking lot in the morning, take the shuttle to Logan Pass where we would start our hike, and then finish our hike where our parked car would be waiting for us. The only reason that we did not take this option was because the shuttle buses started at 8 a.m., and we wanted to be on the trail before eight. But I gotta say, having the hike end at our car would have been brilliant! If we were faster hikers that is. 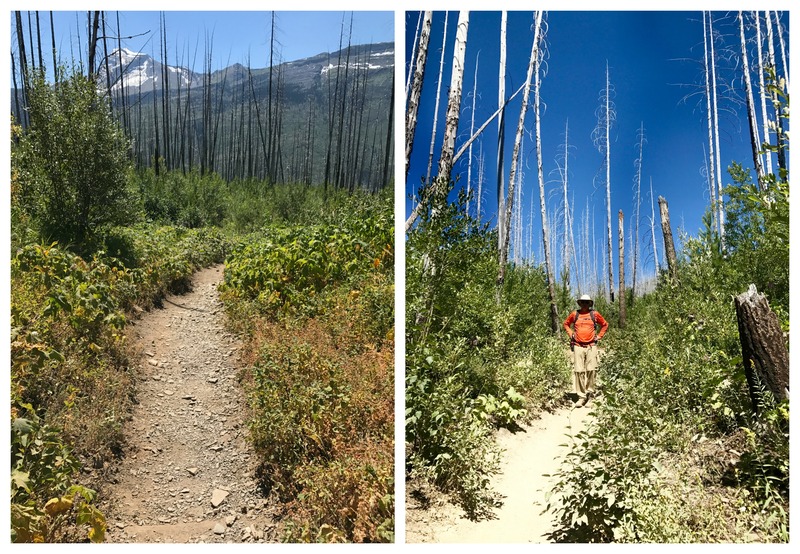 We knew that the last three miles would be in the fully exposed sun – and hiking in July it was brutally hot – so we really needed to hit the trail early. If the day’s temperature is on your side, consider parking at the Loop parking lot to start your day. The important points to keep in mind was that we needed to be fully prepared with lots of water, sunscreen, sunhat, and chapstick. I would add to that list some type of fly repellant. The last part of the hike, the fully exposed sun part, also is filled with biting flies. Yikes! 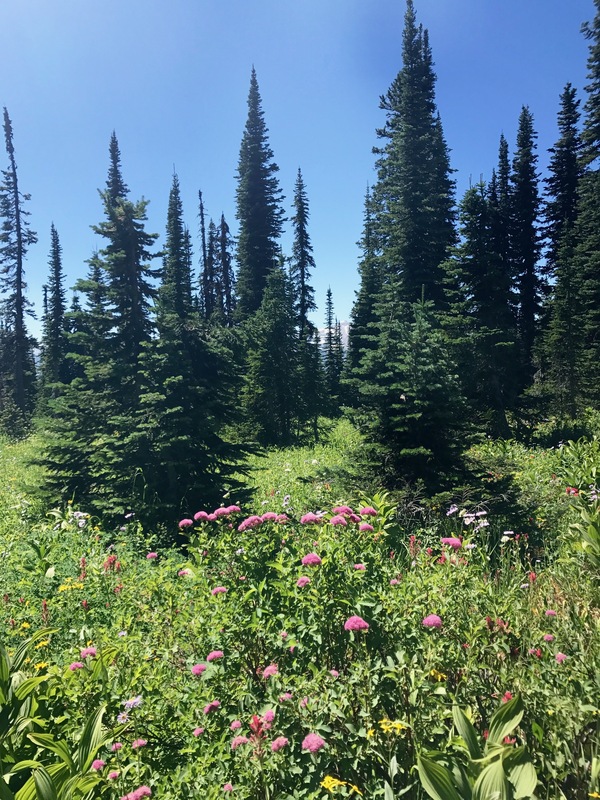 OK, so I know that I am laying out all of the bad stuff first, the hike really is beautiful and the first 8 mile more than make up for the last three. Plus that last three is downhill, so that is one of its saving graces. And if you happen to be hiking this trail on a cooler day than we had, your experience of the last three miles would be totally different. As you first set off on the Highline Trail, you are greeted with amazing views of the valley. 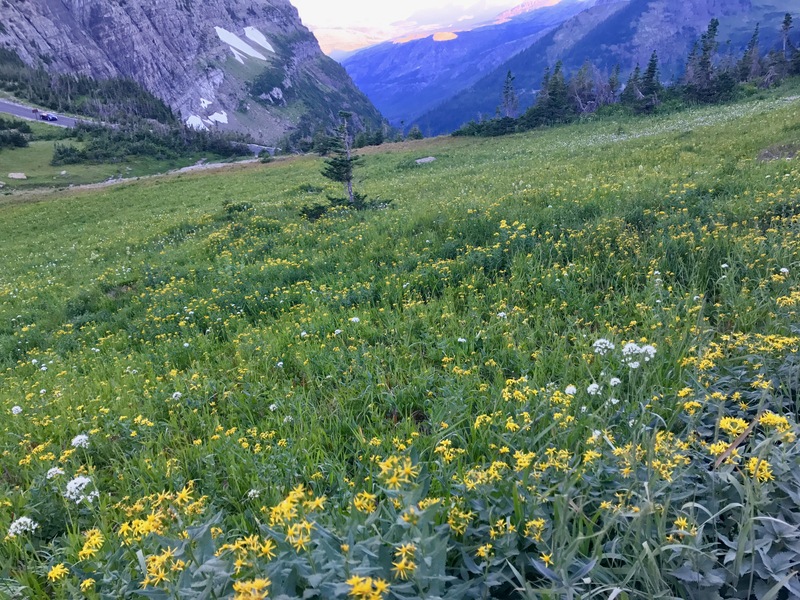 The trail starts off nice and easy through a fairly flat field of wildflowers. 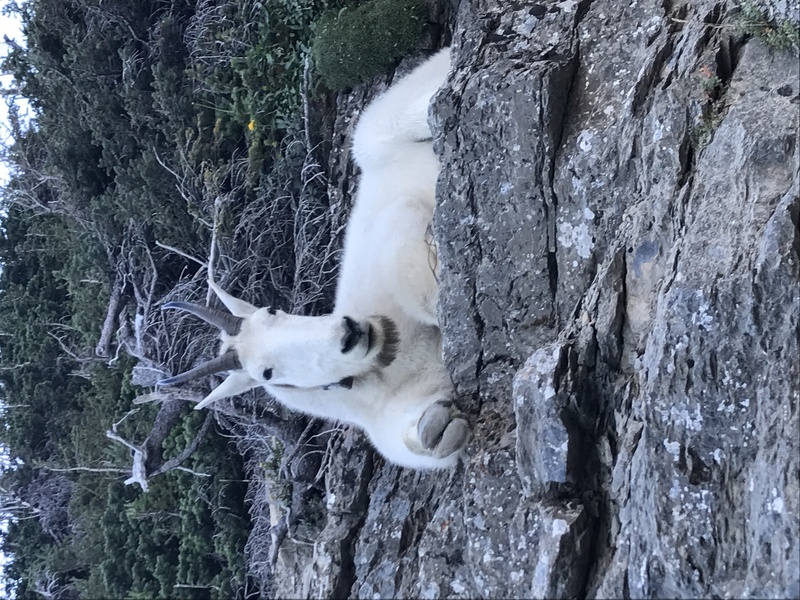 They are conducting a mountain goat study in the area, so we were lucky enough to meet one of the well known residences. If you look closely, you can see its tracking collar. In addition to the mountain goat, we saw deer, and loads of people. The trail is well traversed by hikers. We met groups of friendly hikers from all around the world. Certain parts of the trail get very narrow! And yes, you are walking along the edge of a drop-off. This section does not last long, and the NPS has installed some cable to hang onto. Don’t let your fear of heights get in the way. This is a very short section of the trail. Continuing on you see small waterfalls and more wild flowers. Part of the trail gets very rocky, but most is not. Eventually you reach an area known as Haystack Pass. When we were there we found snow still on the ground. This was the end of July! Many hikers choose this spot for a break and a snack. The views are incredible! Hiking on, you come across different views with every turn of the trail! 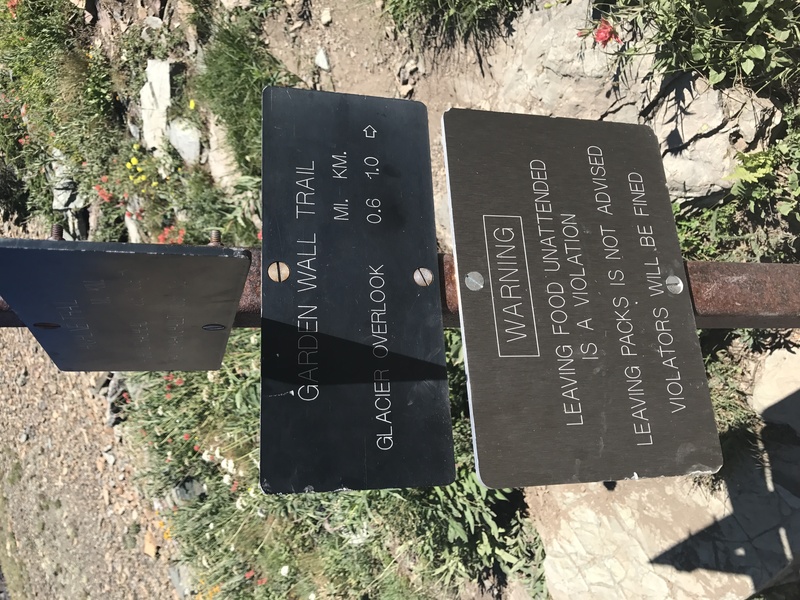 There is a side hike to the Garden Wall. We opted not to add on the additional milage. 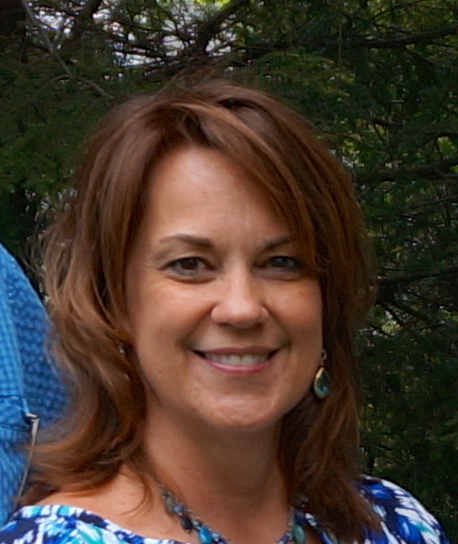 But in chatting with those that did – it was worth it. Perhaps if it was a cooler day, but by the time we reached the side trail, the temperatures were climbing. 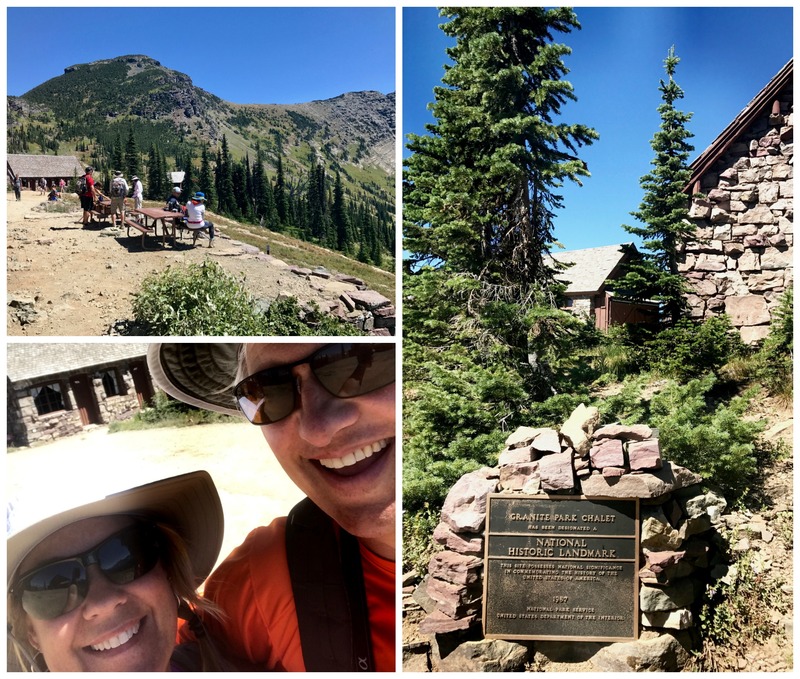 Then just before you hit mile eight, you reach the Granite Park Chalet. This is the perfect place to rest! They offer rooms for rent – book way ahead if you want to spend the night. The accommodations are rustic and there is no electricity. 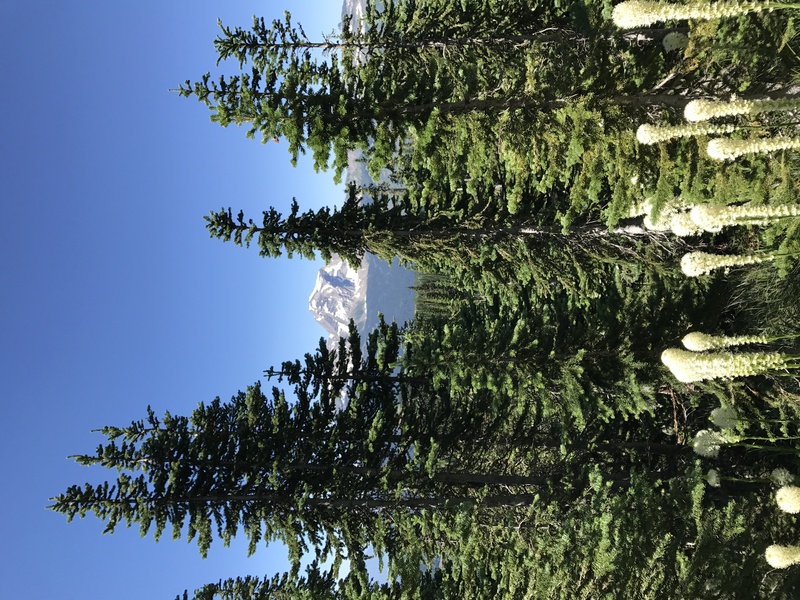 Outhouses are available and the chalet sells simple supplies – snacks, water, and a few hiking necessities. Buy the water! If it is hot out, like the day we were there, the water sources on the hike down were bone dry. After a short rest, we began our descent down the Granite Park Trail. This section has a beauty all of its own. About one mile into the downward trail you will come to a burned out section of the forest. In 2003 a fire, started by lightening, burned more than 19,000 acres. Walking through a graveyard of naked tree trunks offers a stark comparison between this part of the trail and the first eight miles. You can just imagine how lush of a forest this area must have been prior to the fire. The thick underbrush gives hints to what is to come as the forest regenerates. 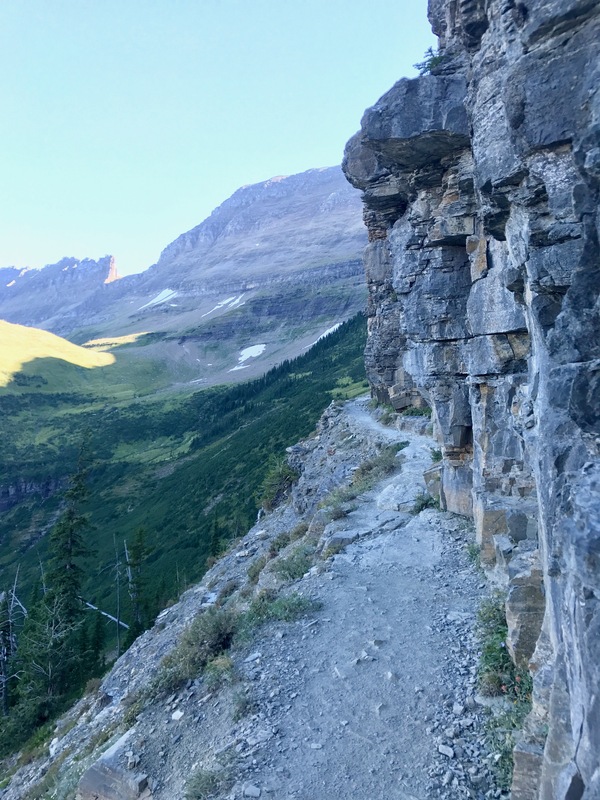 The Granite Park Trail drops you right back down at the Going-to-the-Sun Road at the Loop Shuttle stop. We did have a long wait for the shuttle. Sitting alongside so many of the hikers we shared the trail with – we were all hot and tired, and we all agreed the hike was magnificent. 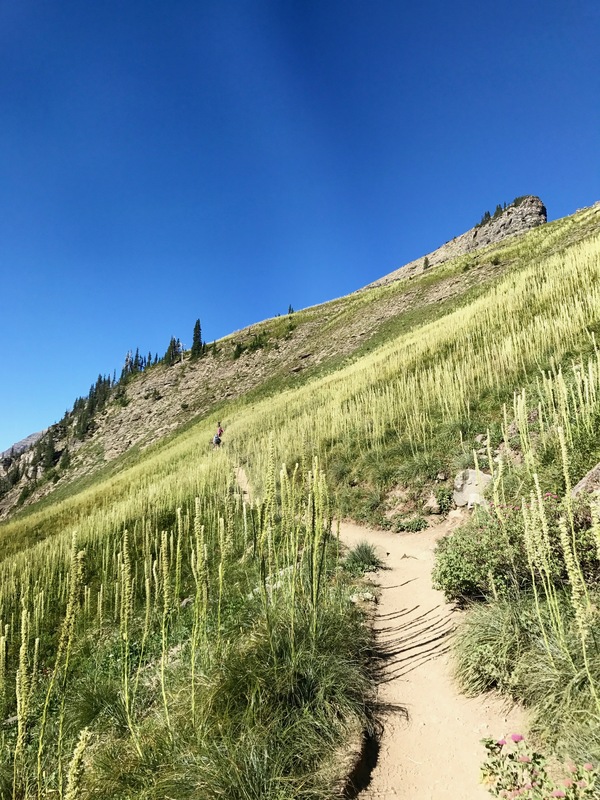 Once we got back to our room at the Rising Sun Motor Inn, we checked in with the store clerk that suggested this epic hike and thanked her for all of her advise. We showed her a few of our pictures, and she showed us a pair of swimming moose she snapped a photo of on her morning hike along Saint Mary Lake. 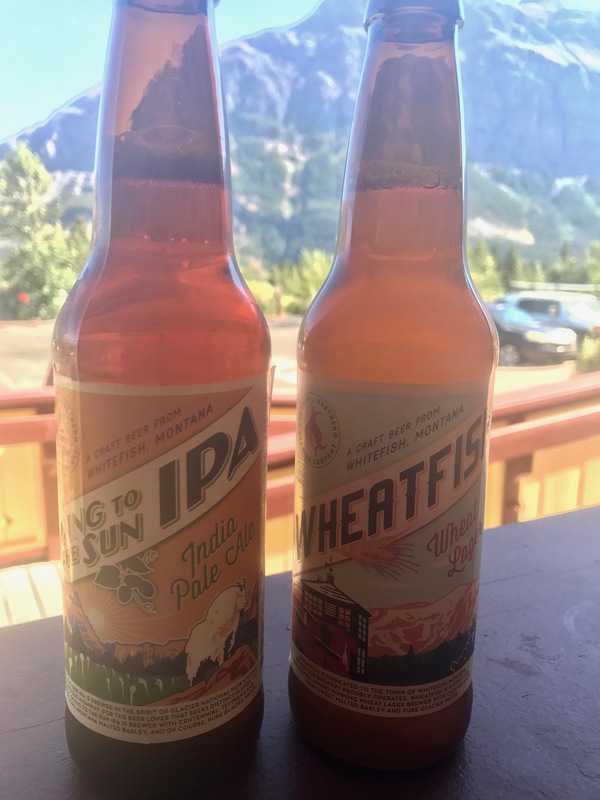 We bought a couple of beers and throughly enjoyed them on the front porch. 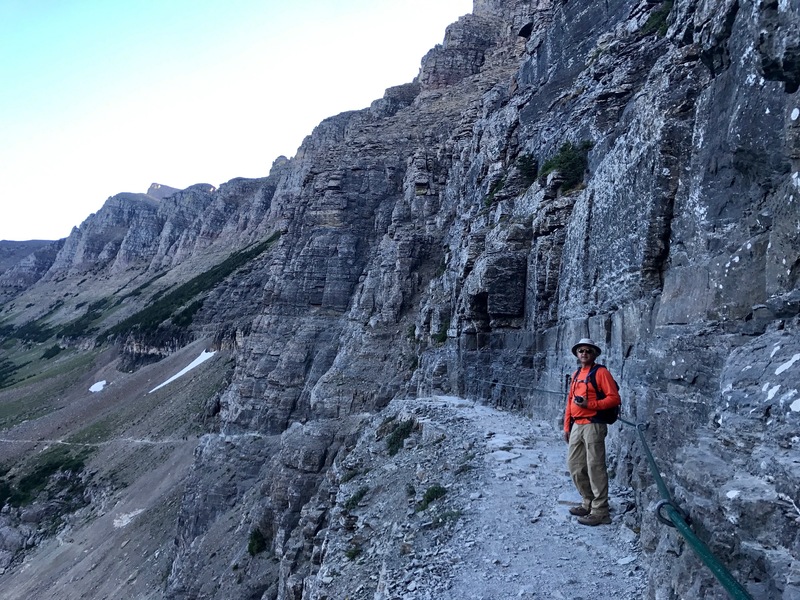 Yes, the Highline Loop in Glacier National Park is an epic hike. Happy National Love Your Melon Day! First Ever National Mini-Maker Faires this Weekend! 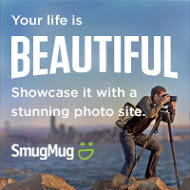 Wow – what a gorgeous and amazing experience. Glacier is on my bucket list but after seeing this I may have to start planning. 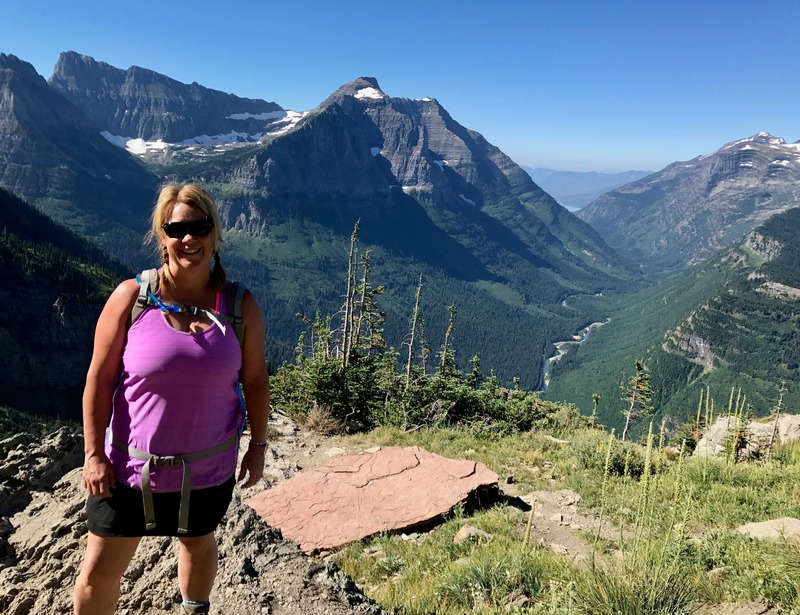 Monica, Glacier National Park is absolutely stunning! Last year I stayed at the Swiftcurrent Inn. Both places were perfect. 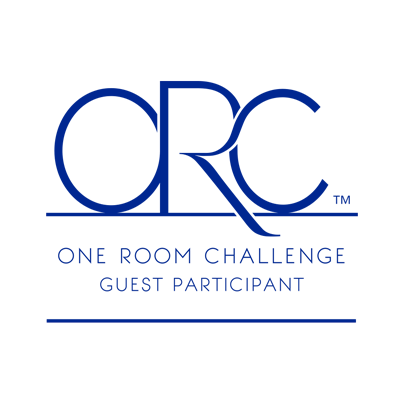 If you plan early enough, you can get into one of the beautiful hotels.